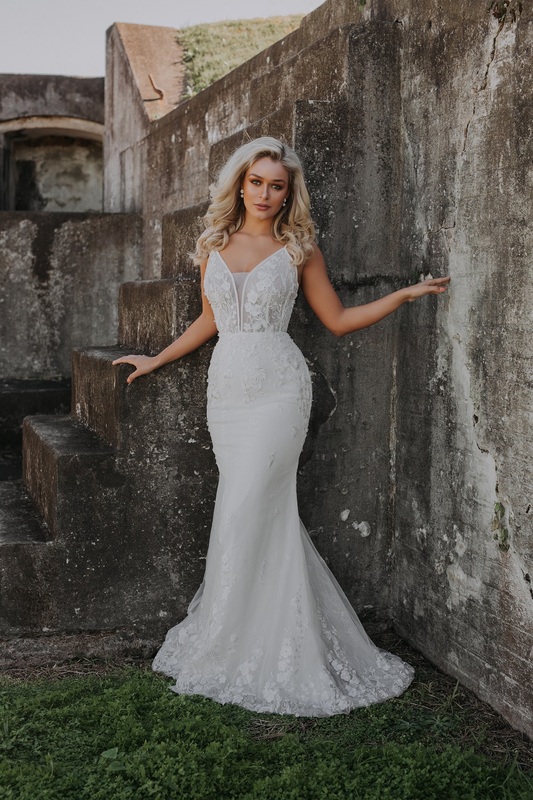 Exude elegance in the Ornela Wedding Dress, featuring beaded lace applique over soft lace deep v bodice and a cheeky leg split making this the perfect bridal dress for a destination wedding. 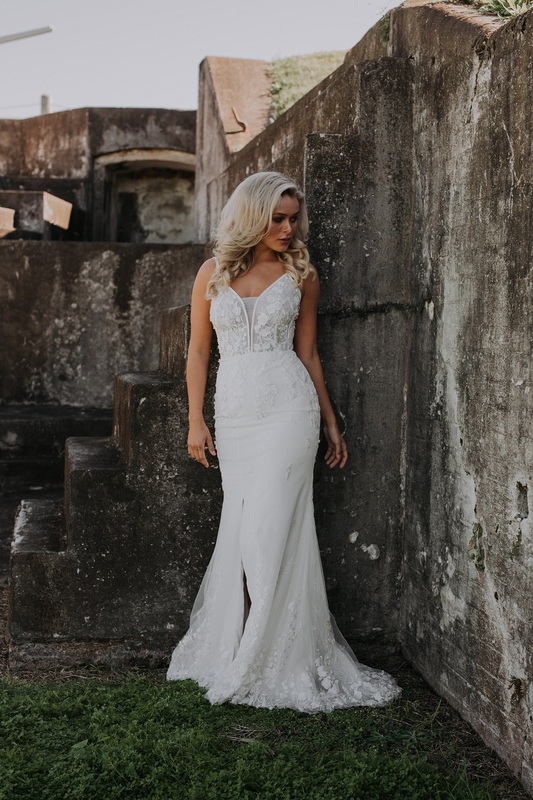 The Ornela Wedding Dress captivates with a deep V plunging neckline with a beaded lace applique overlay. A modest fitted mermaid soft lace skirt continuing down to a side leg split. Delicate hand crafted lace appliqué throughout the bodice front and back with three tired straps featured for some back detail. For a fuller ball gown, pair with detachable skirt (available separately) providing seamless transition from day to night. Delicate hand sewn lace applique adorn this stunning fitted silhouette layered over a stretch fitted skirt with a top layer of soft lace and tulle. Model is wearing size 8 (AUS) and is 5’8″ (174cm) tall, has a 89cm bust, 102cm hips and a 68cm waist.